The Jean-Claude Laprie Award in Dependable Computing is awarded annually since 2012 by the IFIP Working Group 10.4 on Dependable Computing and Fault Tolerance in his honor. The award recognizes outstanding papers that have significantly influenced the theory and/or practice of Dependable Computing. It takes the form of a memorial plaque presented to the author(s) at the Annual IEEE/IFIP International Conference on Dependable Systems and Networks (DSN). Any paper relating to dependable and secure computing, and published at least 10 years prior to the award year (e.g., 2009 or earlier for the 2019 award) is eligible for the award. "Software Rejuvenation: Analysis, Module and Applications" by Yennun Huang, Chandra Kintala, Nick Kolettis, and N. Dudley Fulton is a seminal paper that established the idea of proactively restarting software systems to avoid issues related to software aging as a mainstream fault-tolerance technique. While the value of periodic restarts had long been part of the computing folklore, this was the first paper to provide both a sound scientific framework for the approach and compelling evidence of its value as a technique for increasing availability in production systems. The impact of the paper on the field has been profound. On the research side, it created a new area and established what is still an active community investigating various aspects of software rejuvenation. On the practical side, the technology it originated is now applied routinely in areas as diverse as telecommunications systems, web applications, network devices, and spacecraft software. This publication is an excellent example of a ground-breaking paper, and is well-deserving of this award. 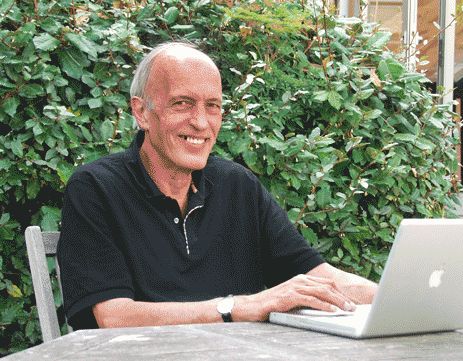 Jean-Claude Laprie (1944-2010) was Directeur de Recherche at LAAS-CNRS. He devoted his entire career to research on the dependability of computing systems. His unique capability of abstraction and formalization, and his contributions to the formulation of the concepts and methodologies of dependability were influential in defining and unifying the field of dependable and secure computing, rapidly leading to national and international recognition. He received the IFIP Silver Core in 1992, the Silver Medal of French Scientific Research in 1993, and the Grand Prize in Informatics of the French Academy of Science in 2009. He was made Chevalier de l'Ordre National du Mérite in 2002. Huang, Y., Kintala, C., Kolettis, N., & Fulton, N.D. "Software Rejuvenation: Analysis, Module and Applications". In Proceedings of the 25th International Symposium on Fault-Tolerant Computing (FTCS), pp 381-390. Algirdas Avizienis and Liming Chen, "On the implementation of N-version programming for software fault tolerance during execution", in Proc. COMPSAC, 1977, 149-155. Richard Schlichting and Fred Schneider "Fail-Stop Processors: An Approach to Designing Fault-Tolerant Computing Systems" in ACM Transactions on Computing Systems, 1(3), Aug. 1983, pp. 222-238. W.C.Carter and P.R.Schneider, "Design of Dynamically Checked Computers", Proceedings of the IFIP Congress, Vol.2, pp.878 – 883 (1968). A. Avizienis, J.C. Laprie, B. Randell and C. Landwehr, "Basic concepts and taxonomy of dependable and secure computing", IEEE Transactions on dependable and secure computing. Vol.1. No.1, pp.1 - 23 (2004).